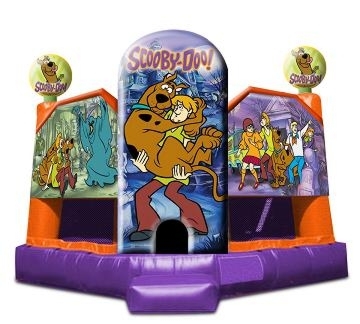 Scooby Doo Club House Castle 15"x17"
Scooby Doo and Shaggy are waiting to play order this wonderful theme for your next event and watch as your children solve all the mysteries. You will find yourself drifting back to younger days as you watch your family and children enjoy their cartoon friends in this Jumping Castle. You will understand that Busy kids make great Parties!